New Haven, CT – The Walter Camp Football Foundation has announced the Football Bowl Subdivision National Offensive and Defensive Players of the Week, presented by Generation UCAN, for games ending November 4. 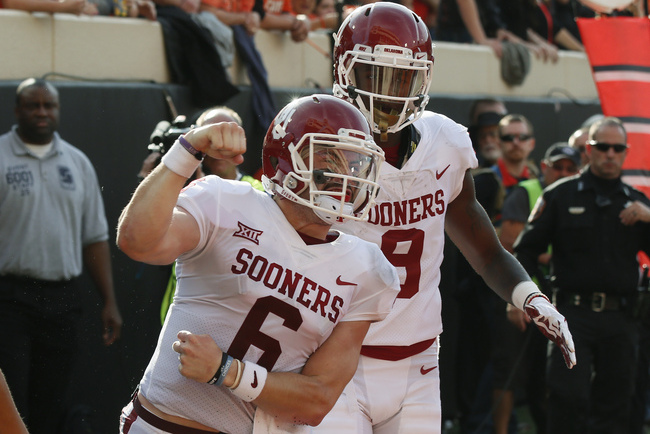 Baker Mayfield set a school record with 598 yards passing (24-of-36) and threw for five touchdowns as eighth-ranked Oklahoma outlasted 11th-ranked Oklahoma State, 62-52. With the victory, the Sooners improved to 8-1, 5-1 in the Big 12. Notes: Baker Mayfield is the sixth Oklahoma player to earn Walter Camp National Player of the Week honors since 2004, and the first since running back Samaje Perine (Nov. 23, 2014). Josh Jackson tied a school record with three interceptions as Iowa defeated third-ranked Ohio State, 55-24. Jackson added three solo tackles for the Hawkeyes, who improved to 6-3, 3-3 in the Big Ten. Notes: Josh Jackson is the fourth Iowa player to earn Walter Camp National Player of the Week honors since 2004, and the second in 2017- joining teammate and linebacker Josey Jewell (Sept. 3).